Alumni on film and TV programme include producers of The Lunchbox, Bullhead and The Book Of Negroes. Film and TV drama co-production training programme Trans Atlantic Partners (TAP) has revelaed its 2016 line-up of 25 producers from across Europe, Canada, and the USA as well as India and South Africa. Experts taking part in the scheme include producer René Bastian (Cold In July), Matthias Nitschke, senior vice president of business & legal affairs, Studiocanal, Germany, and producer Ilann Girard (Lebanon). TAP provides case studies of successful trans-Atlantic projects, market intelligence, legal framework and information on sales and distribution. 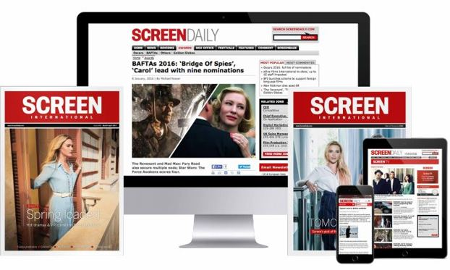 The programme is directed at producers at career mid-level who have produced at least one feature film or TV series. The two training modules take place in Munich (June 24 – 29) and Halifax, Canada (September 12– 18) where TAP producers will also participate in the Atlantic Film Festival’s Strategic Partners international co-production market. Previous alumni of the scheme include Guneet Monga (The Lunchbox), Peter Bouckaert (Bullhead), Marc-Daniel Dichant (In Darkness), Damon D’Oliveira (The Book of Negroes) and Michael Frislev (Fargo). The initiative is presented by Germany’s The Erich Pommer Institut (EPI) with the support of Telefilm Canada, Canadian Media Producers Association, and International Film Partners.